The World Boxing Super Series is delighted to present the seventh of eight participants in the cruiserweight division. 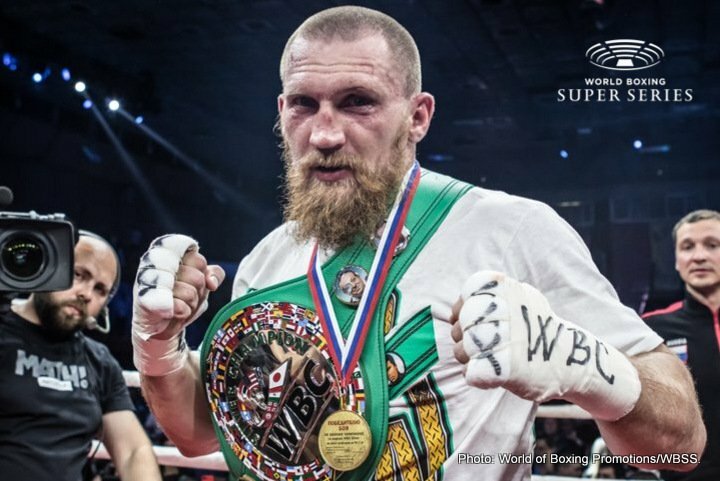 Dmitry Kudryashov has joined a star-studded tournament line-up that features the four reigning world champions Oleksandr Usyk (WBO), Mairis Briedis (WBC), Murat Gassiev (IBF) and Yunier Dorticos (WBO) as well as former champions Marco Huck and Krzysztof Wlodarczyk. The Russian Hammer (21-1, 21 KOs) enters the Muhammad Ali Trophy with a fearsome KO ratio of 94 %, with all of his 21 victories coming by the way of knockout. Once the quarter-final match-ups have been set, the dates and venues will be announced. Organised by Comosa AG, the World Boxing Super Series will kick off in September 2017, featuring the Cruiserweight and Super Middleweight divisions. In each weight class, eight elite boxers will battle it out in a bracket-style elimination tournament, with four quarter-finals (fall 2017), two semi-finals (early 2018) and one final (May 2018). This makes for seven top fights per weight class, and a total of 14 fights in Season One to be staged in premier venues around the globe. The winners of the World Boxing Super Series will rightfully receive The Greatest Prize in Boxing, the Muhammad Ali Trophy. Please visit our website www.WorldBoxingSuperSeries.com for more information or follow @WBSuperSeries on Twitter, Facebook, or Instagram.